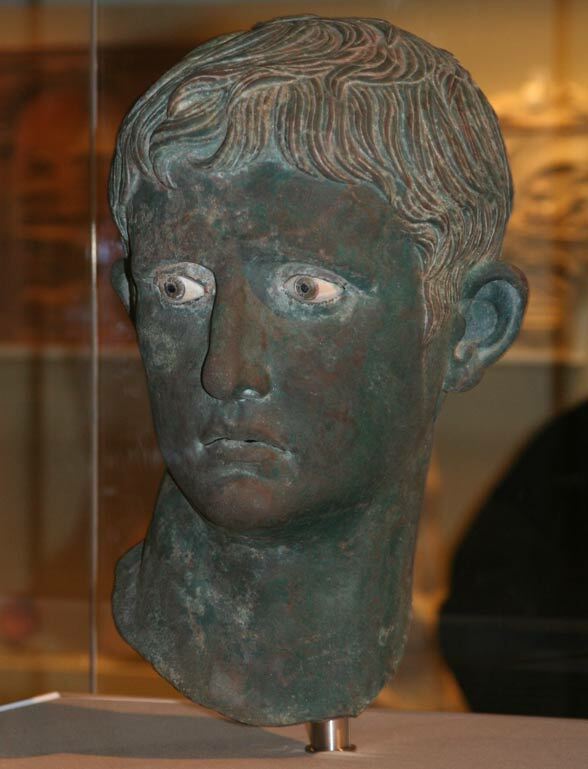 It turns out Caesar Augustus was an undeserving braggart. 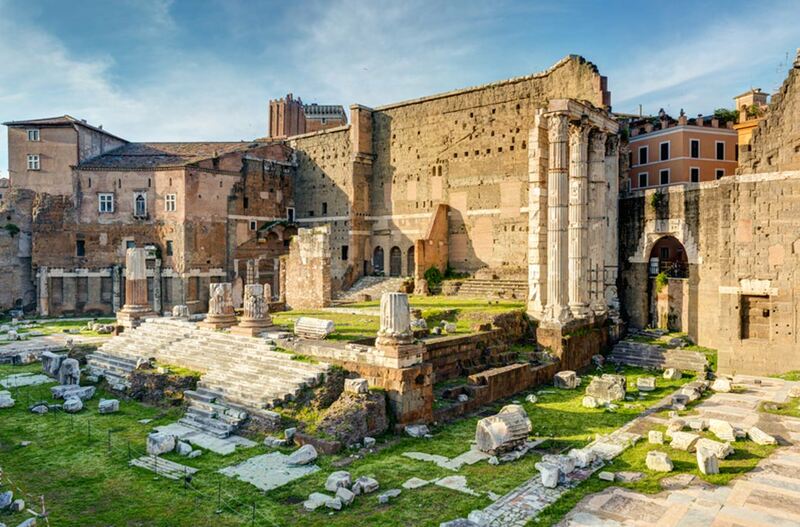 He claimed, “I found Rome a city of bricks and left it a city of marble.” But new research by a university professor has found that only a small minority of the city of Rome’s buildings in Augustus’ time were marble. “Many scholars have looked at Augustus’s claim from a political standpoint, as a metaphor for him transforming a republic into an empire. I wanted to see if Rome literally transformed under his rule,” said Diane Favro of the University of California-Los Angeles’ Department of Architecture and Urban design. Favro used a mapping website called ArcGIS and a highly advanced form of a technique called procedural modeling to recreate a detailed map of ancient Rome, says a press release from UCLA . She discovered that relatively few of the buildings in the Rome of Augustus’ time were converted to marble from brick. She also determined marble buildings constructed under Augustus were hard to see in Rome’s cityscape. “Given the literary descriptions and artwork, I thought these glittering marble temples on high would be very visible, but they were not.” she said. Favro has degrees in commercial art, Etruscology and Roman architectural history. She’s traveled to many parts of the ancient Roman Empire, from Lebanon to Algeria and Germany. She has written books on Roman architecture and has done digital research projects exploring the ancient world. Favro wrote The Urban Image of Augustan Rome , after which she and graduate students used digital technology to research whether Augustus’s boast was true. The Rome of Augustus’ time from above, as re-envisioned by UCLA researchers. The buildings in pink were marble. Augustus ruled during a time of relative peace known as Pax Romana. He used the resultant manpower and resources freed by a lack of war and the opening of a new marble quarry to institute construction projects. He commissioned large marble buildings and monuments, some of which were under construction for 40 years. Consequently the streets of Rome were congested by the movement of massive marble blocks around the city. Miners extracted the marble from the Carrara quarries on the northwest coast of Italy, which opened just before Augustus came to power in 44 B.C. “Because they saw construction taking place constantly, I believe people really did think that Rome had been transformed into marble. But in reality, the city did not greatly transform.” Augustus also had many public spaces in Rome paved in marble, which in the past had been used only in houses of the rich and sacred temples. “Suddenly, everybody moving through the area could find themselves walking on marble, so they felt like they belonged to this more elevated status,” said Favro. Any impression Roman citizens had that the city had been transformed to marble was mostly an illusion, Favro concluded. See Building Projects in Rome in Augustus’ Time for a list of construction projects he commissioned. Just as Caesar Augustus was full of himself and not the truth when he claimed to have converted Rome from brick to marble, so too are the claims of many tax-exempt churchmen and state tax collectors who have the temerity to assert that Jesus endorsed the state and its taxes with his brilliant answer to the questions, "Is it lawful to pay Caesar's tax or not? Shall we pay or shall we not pay?" (Gospel of Mark, Ch. 12) Jesus' answer, "Give Caesar what belongs to Caesar and give God what belongs to God," (Mark 12, Matthew 20, Luke 22) was a brilliant but subtle condemnation of the state and its taxes. For no one in Palestine had anything belonging to Caesar, who was a taker not a giver nor lender,.So in effect, Jesus told his listeners to give Caesar nothing. And to make his point clear he added the comment about God, because Hebrew Scripture states at least six times, and nowhere clearer than in Psalm 24, verse ! : "The earth is the Lord's and everything in it," which also leaves nothing for poor old Caesar. Read more about The Roman Republic – Was It Truly A Republic? What New Archaeological Treasures Have Been Unearthed in the Ancient City of Caesarea? Read more about What New Archaeological Treasures Have Been Unearthed in the Ancient City of Caesarea?